Wednesday the Park Rapids Rotary Club presented a $2,500 donation for the K-9 Unit to the City of Park Rapids. 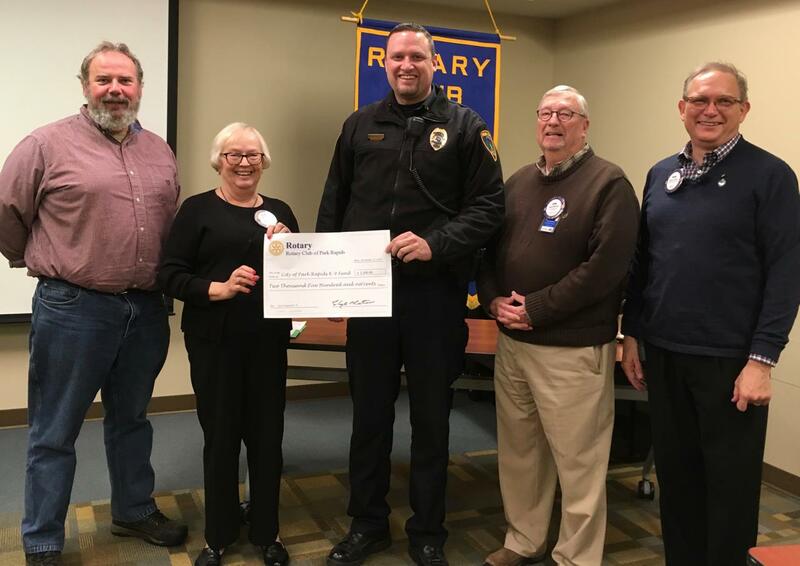 On hand were (from left) Mic Ryan, chair of the K-9 Fund Drive; Irene Weis, chair of the Rotary Donations Committee; Police Chief Jeff Appel; John McKinney, city administrator and Rotarian; and Mark Larsen, club president. Approximately $60,000 has been raised toward the $70,000 goal.